Who Are the Most Inventive People? Q: How many people are involved in patents? A: In 2014 there were 301,643 US utility patents issued with 831,131 names listed as inventors, representing 537,662 individuals. Q: Were they lone inventors or groups? A: About 1/3 of the patents had a single inventor and about 1/2 had one or two inventors, so inventions do tend to be individual affairs. The most inventors on a single patent was 63 for 8,694,397, “Consistent set of interfaces derived from a business object model”, which was assigned to the German business software firm SAP. It looks like a typical bogus software patent, and the USPTO was pretty leery of it as well, given that it took 9 years to get granted. Q: Are the multiple inventors together? A: Less than one would think. Only 3/4 of the multiple-inventor patents had all the inventors in the same country or US state. About 1/5 are from two places, and the other 5% are from more. The record is 7 for 8,706,683, “Knowledge management across distributed entity” which has 12 inventors from SAP from the countries US, Russia, Ireland, Israel, India, China, and Egypt. A distributed entity indeed! Q: How many patents did each inventor tend to get? A: Of the half million inventors, 25% received two or more patents in 2014. That’s higher than I would have expected. Patents are expensive after all – they cost at least $15K – so the cost adds up fast. When I think about my own patents, though, they also got issued in bursts. You come up with new ideas when you’re facing new problems, and you usually get several at once. This is very clear when you look at the historical record – innovation comes in big bursts when a new material or a new technique or a new product comes along. As soon as it became clear that you could make light by electrically heating a wire inside a glass envelope, everyone tried different flavors of light bulb. Q: Who got the most? 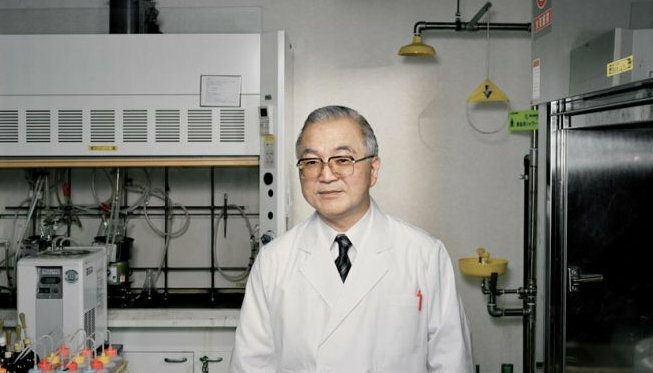 The most prolific inventor of 2014 was Shunpei Yamazaki of the Semiconductor Energy Laboratory of Toyko with 436 US credits. In fact, he’s the second most prolific inventor of all time, with 3611 US patents to his name. He trails only Kia Silverbrook of Sydney Australia, who has 4705, but only got 52 in 2014. The SEL appears to be Yamazaki’s personal lab. His first filing was in 1978, so he’s been out there for almost 40 years. The most notable thing he has worked on is a kind of thin-film transistor for flat-panel displays made from an indium-gallium-zinc oxide. This has a much stronger drive than the usual transistors made from amorphous silicon, and so can make displays with faster refresh times, less blur, and more contrast. He didn’t invent that material itself – that was done by Prof Hideo Hosono of the Tokyo Institute of Technology. He sure has jumped all over it, though. Of those 436 patents, a third of them are called “Semiconductor device [and something]”. 39 of them are just called “Semiconductor device”, and 13 more are just “Display device”. It’s hard to believe there’s something distinctive about those even if his lawyers did manage to fool the patent examiner. It really looks as though he’s flooding the field with minute variations of ideas in the hope that one of them will pay off. SEL makes its living on patent licenses, and so attempts to cover everything. Q: How about other prolific inventors? The next two top inventors, Roderick A. Hyde (233 patents) and Lowell L. Wood Jr. (220) are not doing tiny variants; they’re doing the opposite. They appear together on a lot of patents, along with #7 Jordin Kare (125), #8 Clarence T. Tegreene (114), and #9 Edward K. Y. Jung (107). Most of their patents are assigned to a mysterious entity called Elwha LLC in Washington state. After some digging I discovered that it’s a shell company for Intellectual Ventures, which is a huge patent sponge started by Nathan Myhrvold, former CTO of Microsoft. Edward Jung is a cofounder and another senior Microsoft guy. They buy up languishing patent portfolios and offer patenting services to research organizations, then sue everyone they can find. They’re the world’s leading patent trolls. Hyde, Wood, and Kare are mainly known for exotic space technology ideas. Hyde worked on building big space telescopes with Fresnel lenses. He and Wood came up with the the Space Fountain, a scheme for accelerating things into orbit by having a stream of pellets shoot upwards and get redirected down again by a big U in space. Kare has spent his career on rocket laser propulsion, where a ground laser boils a propellant in a rising ship. None of their real work has come to anything. They’re all in their 50s and have little to show for their careers. I think their friends at Microsoft are letting them cash in. They’re probably acting as patent screeners, checking and editing other people’s ideas. Hyde has his name on patents in a huge range of subjects: “Blood brain barrier device”, “Methods and systems for use of photolyzable nitric oxide donors”, “Systems and methods for managing emissions from an engine of a vehicle”. No one can make real contributions in such diverse fields. The fact that they often appear on these patents with Clarence Tegreene, whose whole career is as a patent attorney, is doubly suspicious. These guys used to be innovators, but that didn’t work out for them and now they’re troll assistants. Cheer up – the work of the #4 inventor, Prof. Shou-Shan Fan (153 patents) of Tsinghua University in Beijing, looks legit. He’s a leading authority on nano-materials, and most of his patents have to do with uses of graphene. Some of them are outside that fold, like “Method for making touch panel”, so he’s thinking about a range of related things. #5, Jeyhan Karaoguz (138) of Broadcom Inc. in Irvine, CA, is also coming up with a nice range of ideas within one area. His have names like “Method and system for location-based dynamic radio selection” and “Service mobility via a femtocell infrastructure”. These are all cellphone radio features that Broadcom builds chips for. Q: So what’s the big take-away? Some people like Yamazaki and the Elwha guys are racking up big numbers by gaming the system. Yet there are others like Prof. Fan and Jeyhan Karaoguz who really are idea-creation machines. Good engineers will generally get a couple of patents to their credit over the course of their careers. These guys come up with a couple of patents a week. That’s pretty scary. Most of them are probably of little value, but so are most of all patents. Some people are just way off the curve of technical creativity. 2 Responses to Who Are the Most Inventive People? Elwha is notorious for using non-standard terminology to define key concepts in their invention. For example, they have about 30 or so patents related to “field emission heat engines,” which are almost universally called “thermionic converters.” Nowhere in the specification does this term appear. There is good art for these patents going back almost 40 years!